Nigeria’s epileptic power supply has taken a turn for the worse in recent months. Despite investing over $30bn in the sector in the past 15 years, the total electricity supply as of today is less than 1,400 megawatts for a country of over 170 million people. As a result, the citizens and businesses have resorted to the use of generators to the point where some industry experts are placing the frontal cost, including imported fuel, as high as the size of the annual national budget. This mire has provoked a wide range of debates with a host of powerful voices overtly urging the President-elect, Muhammadu Buhari, to scrap current power sector reform altogether. But any temptation to toe that line readily translates to a right cause on the wrong course. The problem is definitely not the policy by itself. The gospel truth is that the highly celebrated “Road Map for Power Sector Reform” under President Goodluck Jonathan has simply lost its bearings, but can be redirected under a common sense leadership. The power road map was conceived on a charming premise that deregulation and privatisation are twin catalysts for energy Eldorado. Although the Jonathan people pursued the power agenda with admirable zeal, little did they know that a reliable service delivery in the power sector required more than mere theory. Yet, they marginalised a central theory on privatisation which clearly states that the effectiveness as well as efficiency is contingent upon the environment. The industry naïveté is further exposed when considered that the Committee on Power would fail to recognise that any concept which advocates corporate profits at the crude expense of public interest cannot be ideal in this stage of national development where an average citizen lives on less than one dollar per day. The United States of America offers a salutary experience. Due to the importance of electricity in human welfare and obvious complexities with privatisation, deregulation of the power sector in the US did not begin until less than 25 years ago. And despite what some analysts may view as its merits, only 16 out of America’s 50 states have seen sufficient benefits to exercise full deregulation of electricity. Simply put, Nigeria is not quite ripe for deregulation and may seem to be in a paradox of sort. Yet, reversing the policy is a recipe for a colossal disaster and thus no longer an option. Even as it is necessary to review where and how the road map lost its bearings, this piece is a blueprint to redirect the existing programme towards efficient power delivery. 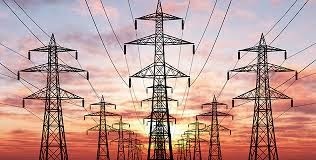 By all indications, Nigeria’s power sector reform is fraught with difficult roadblocks but none is more daunting than the fact that the policy implementation veered off by failing to steer the original direction of the road map. The first main detour was at the juncture where political cronyism crossed the entire process. Major public electricity assets under the privatisation exercise were sold off at ridiculously below-the-market prices to a retinue of government cronies who not only lacked the technical capacities and expertise but also the genuine interest to drive home the power vehicle. The most perilous mishap to the road map yet is that the implementation team placed all its eggs in one shaky basket. Contrary to the dictates of the road map, instead of prudent diversification to alternative sources of energy, implementation has been concentrated on gas-to-power. Worse still, a vital link of the road map anchored through the Ministry of Petroleum Resources punctured an important component of the very initiative on gas-to-power by abandoning the nationwide gas pipeline master plan initiated under President Olusegun Obasanjo, including the strategic East-North gas pipeline from Calabar through Enugu and Ajaokuta to Kano. Today, not only is over 80 per cent of Nigeria’s power to the National Grid generated through thermal plants, most gas infrastructure is localised to a volatile axis of the country. The result is that any illegal tampering of the gas pipelines in the area, which is sadly very often, is a nation in darkness. The quickest way to remedy the situation is to defy the odds and provide adequate gas supply to the multitude of existing power plants in the country—and with immediate effect. Nigeria’s power problem no longer hinges on lack of power stations but failure to provide the plants with abundant natural gas in the land. For instance, even though the country currently boasts over two billion cubic feet of gas daily with a power generation capacity at about 6,000 MW, the total output is less than 2,100 MW. The huge drop is attributed to inadequate gas supply due to vandalism. According to the Ministry of Power, the sector has been losing close to 120 to 150 million cubic feet of gas per day (MMScf/d) in the last eight weeks along the Trans Forcardos and Escravos-Lagos pipelines. A mere 300 MMScf/d of gas loss at any point in time translates to a reduction of about 1,000 MW of power supply. But the whole excuse of incessant vandalism of gas pipelines is roundly lame. The root cause of the problem is squarely a failure in leadership. The different conspiracy theories with the cabal within the business of electric generator notwithstanding, any notion that a nation like Nigeria—a country of over 170 million people with an estimated 50 per cent of youth unemployment—cannot guard the pipeline to the mainstay of national economy in this stage of technological advancement is nothing but the continual tendency to give the dog a bad name. There is a plethora of data to support the foregoing opinion but the mere fact that the country takes pride in awarding huge contracts to a barefaced militant cabal for the security of gas and petroleum pipelines is a compelling testimony of the failure in leadership. With a common sense leadership in place, besides a galore of technological advances in the surveillance industry, a common task force of army, navy, and a pool from the unemployed university graduates should be adequate to address the problem of vandalism pronto—even if it requires stationing armed guards at every pole throughout the breadth and depth of the pipeline network. The second major recommendation is a two-pronged approach on gas-to-power. With best intentions, the road map has already raised power generation through natural gas to a commendable nameplate capacity of over 11, 500 MW. Although some of the plants are still under construction, a good number is completed but yet to be connected to the pipelines or the national grid. Thus, the incoming Buhari government should begin by beaming its searchlight on why development on some gas powered plants is stalled. A case in point is Geometrix, the first indigenous private generating plant located at Aba. It is mystifying that this plant has been completed for years but hindered from coming on stream by a toxic mix of politics and private sector monopoly. The next approach is to de-emphasise gas-to-power for the meantime and stake earnest resources to other sources of energy. De-emphasising gas-to-power is strategic. A careful implementation of such a policy not only boosts power generation in different parts of the country, it will also help to overcome overdependence on natural gas and the unending chicanery with pipeline vandalism. Best of all, Nigeria will finally put into use other huge natural resources long abandoned because of indolent preference for oil and gas. Thus far, though hydro power accounts for less than 20 per cent of the generation to the National Grid, there is an appreciable number of hydro plants in the country. Currently, the hydro nameplate capacity stands at over 5,300 MW which, of course, includes the $7bn 3050 MW Mambila power station and others under construction. Similar to the agenda on gas-to-power, rather than building more hydro plants, efforts should be made to ensure that existing hydro projects are executed in a timely manner. Perhaps, renewable energy, such as solar, wind, biofuels, and traditional biomass should not be ignored, but the most logical alternative for serious public sector investment in the power generation today is coal-to-power. Nigeria is globally ranked as the seventh largest in coal deposit. Like her counterparts in other countries, particularly South Africa, the United States of America, China, Indonesia, and Australia, Nigeria is overdue to join the comity of nations that generate power from coal. Unlike the typical hydroelectric power station that takes anywhere from six to eight years before coming on stream, coal-fire powered plants normally takes three to four years to build. This proposal is in line with the original Power Road map of 2010, which specifically calls for continued public investment in renewable energy and coal. It is also in agreement with Buhari’s election manifesto which promised immediate revitalisation of coal-to-power.